Open one Braum’s Pound Cake, cut it into about 2-inch sized cubes and lay out on a plate to dry out overnight. 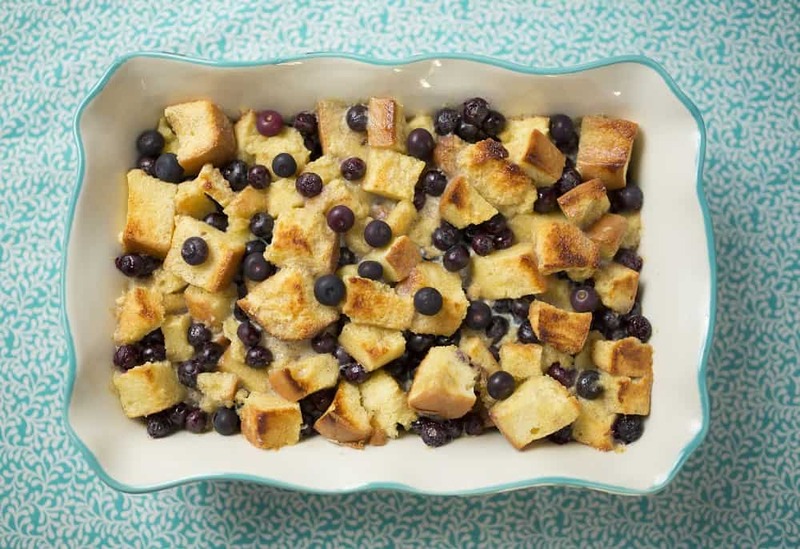 The next day, place cubes into a mixing bowl and combine with blueberries. Place cake and blueberries into a buttered 9-x-13 inch baking dish. Melt butter and evenly pour over the cake and berries. Allow butter to absorb into the cake. In a mixing bowl, combine buttermilk, eggs, vanilla, allspice, and the zest of one lemon. Pour mixture over the cake and blueberries. Cover the dish and chill for at least 30 minutes in the refrigerator. Bake the pudding mixture at 350° for 45 minutes to an hour or until the pudding has a golden color and is set. Optional: Serve with a scoop of vanilla/favorite flavor of Braum’s ice cream.